There are many different opinions on what was going on at period November 2017 — January 2018. Some call it an economic bubble or a mass hysteria, but the fact is, it was an investor’s oasis. Every kind of crypto was growing up rapidly, and for many people, it seemed like it wasn’t a question which complicated investment or risk management strategy they should be using to succeed. The only question was, how much crypto they should buy in order to become a millionaire as fast as possible. Unfortunately, it all came to an end soon. Now, with Bitcoin price fluctuating near $3500 mark, the main question is how to invest in this still perspective asset with minimal risks. Nobody wants to lose his funds during another downward movement. As I mentioned earlier, I consider the current cryptocurrency market conditions to be a temporary thing. Despite the fact that the mass Bitcoin hysteria is mostly gone by now, cryptocurrency is still a very perspective investment asset. In my opinion, the best strategy for a long-term investor now is to buy a certain amount of crypto while its price is low and hold it. The next cryptocurrency bull market is inevitable, but now you need a good risk management system more than ever. In the last couple of years, we have seen many people losing their funds because of poor market understanding, participation in scam projects or just by an accident. We can study from the past mistakes. One of the most basic investment techniques which consider all of these factors and aims to maximize the potential profit and minimize risks concerning cryptocurrency investing is diversification. Diversification is a strategy of mixing different financial instruments in the same investment portfolio. Portfolio including many different financial instruments is considered to be more stable than portfolio including only one financial instrument. In most cases, the diversified portfolio provides its owner higher returns with lower risks. You can diversify your assets either between different asset classes or within the same asset class. 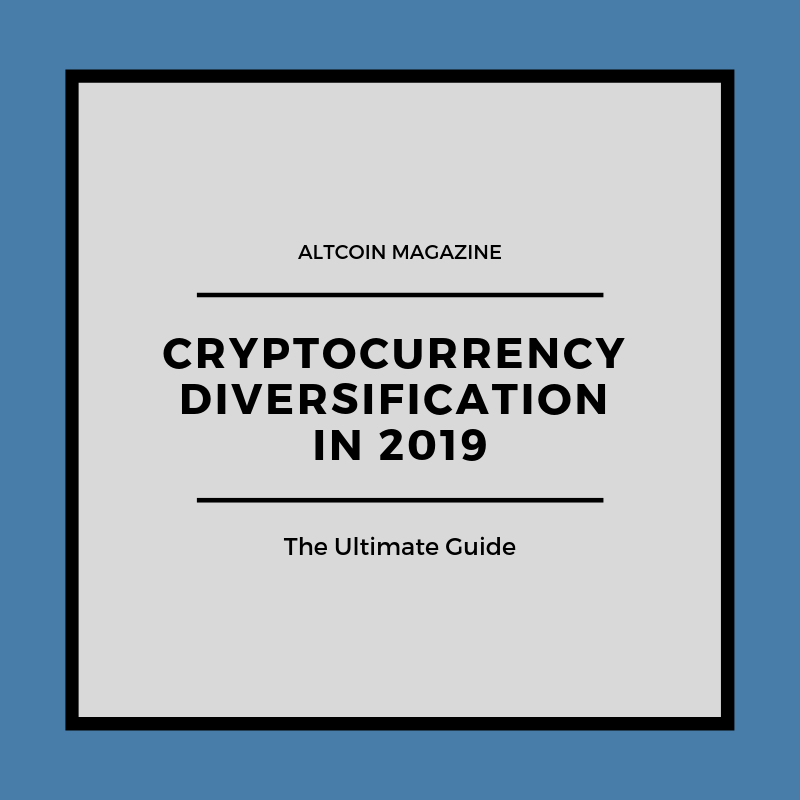 For example, diversification of your investment portfolio between fiat money and cryptocurrency is diversification between different asset classes, while diversification of your cryptocurrency portfolio between, let’s say, Bitcoin and Ethereum is diversification within the same class. Traditionally, one of the main requirements for diversified investment portfolio is including of many different assets with no positive correlation between each other. In this case, if one of your assets loses its value, others either remain stable or rise, overlapping your losses and providing stability of your investment portfolio. That’s where the main difference between traditional financial diversification and cryptocurrency diversification occurs. The most popular cryptocurrencies are highly correlated with Bitcoin, which defines the direction of cryptocurrency market in general. You can see it clearly in the charts below. First of all, if you invest all your capital in one coin, you can face technical or security problems. Remember the story of the DAO. Due to a vulnerability in its program code, users were able to withdraw one-third of its funds to a subsidiary account, which led to complete redistribution of the original user’s funds. Obviously, it didn’t end up well. Technical and security problems have a strong influence on cryptocurrency prices. In case some technical or security problem happens to your main asset, it may either lose in its price or even collapse completely. Unfortunately, that’s the harsh reality of cryptocurrency investing these days. Cryptocurrency market is still an understudied phenomenon. Even though many cryptocurrencies highly correlate with Bitcoin now, this strong correlation may disappear at any moment due to a number of possible factors. That’s why having many different powerful currencies in your investment portfolio is definitely a good idea. One of the factors making cryptocurrency markets even more unpredictable and unstable is the influence people’s behavior has on cryptocurrency prices, especially the influence of opinion leaders. When someone like John McAfee declares that he is going to sell one currency and buy another, very often the price of the first currency declines while the price of the second one rises. But you won’t have to worry if you have both of them in your portfolio. A study implemented by Cointelegraph in May 2018 has also shown positive results concerning the efficiency of cryptocurrency diversification. According to it, distribution of your cryptocurrency investments between several different assets reduces risk which is unique to a particular digital asset. So how should you compose your cryptocurrency portfolio in 2019? What’s the best way to diversify risks concerned with cryptocurrency investing now? Let’s move on to the strategy. I’d like to mention one more time that the most reasonable decision now is to consider your cryptocurrency assets as a long-term investment. It’s not that simple to make profits using traditional short-term trading strategies now, during the constant downward movements (of course, if you do not use the short selling strategies). On the other hand, if you consider your cryptocurrency assets as long-term investments, you will almost certainly win. Now your cryptocurrency investment portfolio should contain 4–5 different currencies of the TOP 10 cryptos ranked by its market capitalizations. These cryptos are time-tested and demanded by the market, both in the sense of value and technical implementation/security. They grow back after every downward movement, unlike dozens of other currencies. But even the Top 10 currencies differ between each other. Some of them are quite old and maybe not the best choice for a long-term investment. For example, Bitcoin, with its poor transaction speed, lack of privacy and only basic programming allowed, is still holding the top position among the other cryptocurrencies now. But in the next couple of years, all of it may change. So the good idea is to divide your capital, for example, in 5 equal parts and invest in 5 different cryptocurrencies from the TOP 10. The currencies should include old and time-tested cryptos and also the newer ones. I’d choose between Bitcoin, Ethereum, Stellar, Ripple, EOS, and Tron. I wouldn’t invest in Bitcoin forks such as BCH. Its price depends on Bitcoin more than others, and unlikely it will ever take Bitcoin’s leading position. This strategy is plain and simple, but it will provide your investment portfolio with the stability you need to successfully withstand market fluctuations and wait for the growth period with minimal risks. And the last thing. Should you use a diversification strategy for short-term trading? It depends on your trading style. If you trade only one volatile and liquid cryptocurrency pair like BTC/USDT, obviously diversification strategy is not applicable. However, if you are a swing trader, you can buy a basket of currencies instead of one to reduce your risks. In my own opinion, diversification is a method of risk management for investors, but if you can successfully use it for trading, why not? Diversification, like many other investment techniques, makes your investing process more safe and predictable. When using this technique, you protect yourself from the black swans of cryptocurrency sphere, making yourself antifragile and resistant to random events which can influence cryptocurrency markets, your capital and your life in general. Before moving on, make sure to press follow, leave a clap or 46, share today’s highlight and if you missed the last article, click here. 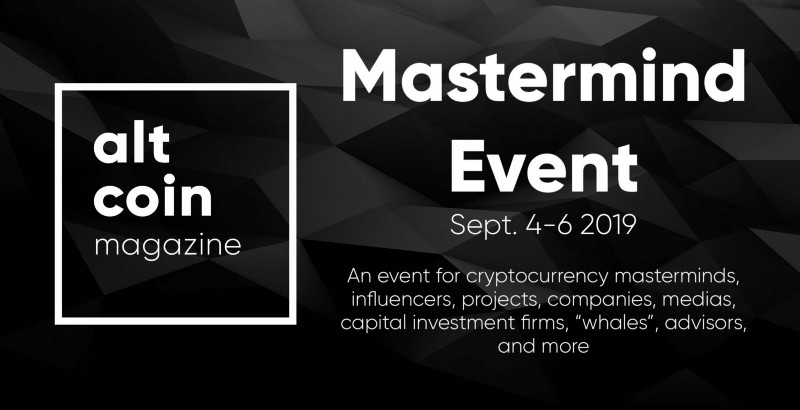 Read about the Altcoin Magazine Mastermind Event here. Follow us on Twitter, InvestFeed, Facebook, Instagram, LinkedIn, and join our Discord and Telegram. The purpose of ALTCOIN MAGAZINE is to educate the world on crypto and to bring it to the hands and the minds of the masses. My name is Richard. I'm a cryptocurrency trader with several years of experience. Trying to survive in the bear times! Our goal is to educate the world on crypto and ultimately to bring it to the hands and the minds of the masses. Brought to you by the best writers in the world.